Content is indeed the lifeline of your online business, do not let it fall in wrong hands. Hire dedicated SEO content writer(s) and take your business to new heights of popularity. At BrainPulse, we understand the gravity of concise and well-written contents in order to take your online business at the next levels. SEO content writers are the right person who are well versed with the intricacies of the content writing domain and enable your websites to produce excellent results with their out of the box contents. We accommodate a highly competent and experienced team of SEO content writers who enjoy years long expertise in writing web-friendly, keyword base SEO contents for our global clients. 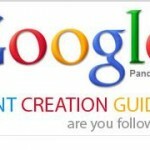 Why Should You Consider Our Dedicated SEO Content Writers ? Articles and spin articles with focused and proper keyword density. Gain good search engine rankings from your web content for your website. Have quick and great results from your SEO campaigns. While working on your projects dedicatedly, our professional SEO content writers handle your overall project virtually strictly on your requirements and instructions. To know more about our dedicated content writing services call our sales representative now.